Chairman LoBiondo, Ranking Member Larsen, distinguished members of the Subcommittee; my name is Pete Bunce and I am the President and CEO of the General Aviation Manufacturers Association (GAMA). 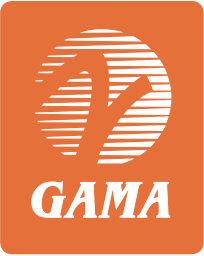 GAMA represents over 80 companies who are the world’s leading manufacturers of general aviation airplanes, rotorcraft, engines, avionics, and components. Our member companies also operate airport fixed-based operations, as well as pilot training and maintenance facilities worldwide. I appreciate the opportunity to testify today regarding the FAA’s certification process and look forward to providing GAMA’s perspective. We applaud the leadership of this Subcommittee for focusing on an issue that is so vital to general aviation manufacturers. This poses new challenges and opportunities for industry and the U.S. government. Aviation safety, operator efficiency, and environmental progress are all dependent on the success of aviation manufacturers and aircraft operators. Manufacturers stand ready to help drive innovation and investment but, too often in the past and despite the best intentions, FAA policy and procedure has hindered the industry’s ability to successfully develop and deploy new aviation products and technologies. We must remove these unnecessary obstacles if we are to improve aviation safety and keep manufacturers competitive. An important step to addressing a significant obstacle is the Small Airplane Revitalization Act originally introduced by Congressmen Pompeo, Lipinski, Graves of Missouri, Nolan, and Rokita. I want to thank them, Transportation and Infrastructure Chairman Shuster, full committee Ranking Member Rahall, Chairman LoBiondo and Ranking Member Larsen, as well as other subcommittee members and staff for their leadership on this important issue. This legislation is a critical first step to regulatory reform of small airplane design requirements focused on streamlining the FAA certification process and making real-world safety improvements. We can have the best research programs and the most innovative technology, but if these products cannot get to market it is of no benefit to manufacturers, users, or the cause of safety. The Small Airplane Revitalization Act charts a new path, promising safety benefits and hope to a part of the industry which has struggled with the economic downturn that occurred over the last several years. There is, however, much more progress that can and should be implemented to meet the laudable goal of ensuring an efficient, effective and safe FAA certification process. Simply put, our companies cannot bring new product to market without FAA approval. FAA must certify every aspect of a new aircraft design and all components and technologies as meeting the safety standards. We cannot overemphasize the importance of FAA certification to growth and sales in the global aviation industry. Unfortunately, FAA resources simply cannot keep up with the pace of industry activity and inefficiencies in FAA certification processes have led to missed business opportunities that restrict industry growth. Too often, the current certification process focuses FAA resources at the detailed project level which is extremely inefficient and often results in delays and additional costs. Such a high level of direct involvement in certification activities means FAA staff is conducting routine activities which are well known and the manufacturer has already demonstrated experience and capability. Many of our member company programs are significantly delayed because FAA does not have the resources available for a timely review and approval of key milestones which are required for companies to continue product development. These are items such as defining the applicable requirements known as the certification basis or approving the certification plan and issue papers so that the manufacturer can get to work. It is relatively commonplace for these types of FAA decisions and approvals to linger for several weeks and even several months. These problems have a real world impact. For instance, according to one aircraft manufacturer, a delay in a large type certification project can cost over $10 million a month. This is just one project and you can imagine the compounding effect when carried across the whole industry over a number of months. Additionally, we have had several cases of smaller aviation businesses faced with a loss of financing and possibly going out of business because of the inability of FAA to act. FAA’s limitations in starting and supporting aircraft certification programs in a timely and efficient manner significantly impacts the schedule and cost of a new program and manufacturer and supplier company decisions to invest in new projects, expand facilities and increase employment. This will become even more acute as demand for certification services increase as more and more of NextGen comes on line. With NextGen, there are also other opportunities to streamline and make FAA processes more efficient and effective for approval and authorizations required by our customers – the operator community. FAA plans to issue changes to their current authorization policy for Reduced Vertical Separation Minimum (RVSM) later this month and this work provides a good guidepost for changes needed in other authorization areas. The cumulative effect of all of this underscores how the FAA can no longer do business as usual. FAA recognizes it, industry recognizes it, and Congress has as well by including Section 312 of the FAA Modernization and Reform Act of 2012 (P.L. 112-95) to address these certification process bottlenecks and minimize ramifications to industry in terms of time and cost. This section is already helping to improve the effectiveness and efficiency of the certification process and allow FAA to focus on priority safety activities. Section 312 requires the FAA to conduct an assessment of the FAA’s aircraft certification and approval processes. FAA submitted this assessment report to Congress in August 2012 which made recommendations to streamline and reengineer the certification processes in a manner that supports and enables the development of new aviation products and technologies. GAMA fully supports all the recommendations outlined in this report which includes both specific near-term and strategic longer-term initiatives for implementation to improve the certification process. The report includes many detailed recommendations, but I would like to highlight below two key areas for improvement that are essential to ensuring an efficient, effective and safe FAA certification process. At the outset, let me highlight that progress in the end will be determined by FAA’s implementation and your Subcommittee will play a key role in providing oversight to ensure these recommendations make a difference. The first key recommendation concerns shifting the certification process toward a systems safety approach with a focus on enhanced use of delegation programs. The type certification process is basically a verification review of thousands of individual discreet compliance activities the manufacturer undertakes to show the design meets the safety standards. To leverage its limited resources, and supplement them with the best expertise available, FAA can appoint and oversee designees who are qualified industry individuals or organizations authorized by FAA to make the inspections necessary to support FAA’s issuance of product design certificates and approvals. FAA established the Organization Designation Authorization (ODA) program in 2005 to improve the safety, quality and effectiveness of delegation programs and expand the use of organizational delegation to all type certificated products. This has the potential to significantly reduce the FAA’s workload by appointing organizations with the required qualification, experience, and management systems to supervise the day-do-day activities of individuals authorized to perform certification activities. By shifting to a systems safety oversight of these organizations, the certification process can be more effective because the same FAA resources can now focus on safety critical activities and support for new and evolving technologies. The certification process can also be more efficient because increased capacity enables FAA to support a continuously growing level of aviation industry activity in a timely manner, reducing delay and cost. Despite a strong commitment to the development and implementation of ODA, the key benefits that would improve effectiveness and efficiency of the certification process are not being fully realized by industry or FAA. Manufacturers and FAA have invested significant resources in establishing and qualifying ODA organizations, technical capability and staffing to obtain FAA authorization. However, the practical implementation and use of ODA authorizations has been inconsistent from one region to another and even from project to project for the same manufacturer. Our members regularly experience situations where their company has obtained full FAA ODA authorization to conduct specific technical certification activities, but on a project-by project basis the FAA engineers and specialists choose to retain these activities themselves and not utilize the available delegation capability. This inefficiency adds significant delay and cost to certification programs – not only for those manufacturers that have an ODA but also for other projects that are waiting on these FAA resources. In these situations, the FAA workforce has not shifted to an organizational systems safety approach that makes better use of FAA authorized activities and FAA oversight resources. FAA recognizes these challenges and under the umbrella of Section 312, is working with GAMA and AIA to implement an ODA improvement action plan with 23 specific tasks and milestones. Today, the action plan is moving forward and key improvements being implemented this year include the issuance of updated FAA certification and training materials. One of the most important changes establishes a new default position that all properly authorized ODA functions shall be fully utilized unless there is a specific safety reason not to do so, such as deficiencies in the manufacturer ODA system, new technologies, or new methods of compliance. This means the FAA workforce will not have to “opt-out” of reviewing specific compliance tasks through delegation but instead decide to “opt-in” to retain tasks where necessary for safety. This will help facilitate the cultural changes necessary for FAA implementation of ODA by focusing their resources on key safety issues. In addition, when an FAA engineer determines that it is appropriate to retain a task they document the rationale which ensures that the manufacturer ODA receives coaching in terms of what areas of technical expertise or oversight needs to be strengthened. As outlined with ODA, implementation of these changes is challenging and it is essential that FAA develop a comprehensive means to implement and measure the effectiveness of certification process improvements. Section 312 has helped to focus efforts on these challenges. It requires FAA to develop a comprehensive implementation plan for each recommendation along with a plan to measure their effectiveness through performance metrics. FAA submitted this implementation plan to Congress in July 2013 and noted that it is a living document which will be updated regularly with several areas still under development. This comprehensive implementation plan addresses all the facets necessary for successful and effective improvements including: FAA staff knowledge, skills and abilities, certification processes, guidance, tools and training, and transition planning to the changed processes. This is particularly important for shifting to a systems safety approach to certification as it requires changes to some of the workforce roles, responsibilities, and behavior. FAA recently took an important first step when it issued an integrated vision of the future state for the Aircraft Certification Service organization which emphasizes the importance of making improvements and ensuring efficient and effective use of resources. Next, FAA should have as its focus comprehensive culture and change management to prepare the workforce for its evolving roles and responsibilities in a systems safety approach to certification and oversight. For example, one of the challenges we experience today is that many FAA employees who oversee ODA certification projects are the same engineering experts involved in traditional certification projects. This results in treating ODA certification projects in the traditional manner where there is a very high level of detailed involvement which does not fully utilize the FAA authorized ODA capability introducing significant inefficiencies, delay, and cost. In order to be successful, the FAA employees responsible for ODA oversight and certification project management should have position descriptions, performance standards, and training which reflect the systems oversight and auditing expertise needed. FAA will not be successful unless FAA employees have the training and guidance necessary to understand and participate fully in the new system with appropriate management and performance measures. We have been encouraged by Administrator Huerta’s commitment to the importance of these certification process improvements, but implementation of similar efforts have failed in the past. I encourage this committee to provide its continued support and oversight for FAA’s implementation of these certification process improvements. FAA should regularly update the status of its implementation plan and performance metrics which promotes transparency among Congress, industry and the public and ensures accountability and effectiveness of the improvements. A Government Accountability Office (GAO) report titled “Certification and Approval Processes Are Generally Viewed as Working Well, but Better Evaluative Information Needed to Improve Efficiency”  found that inconsistent interpretation of regulations is one of the most pressing problems with FAA’s certification and approval processes. For manufacturers, this can have significant impact upon certification project cost and schedule and has been a recurring and systemic problem affecting manufacturer programs. FAA offices continuously develop new policy and guidance to support the broad range of fresh products and technologies which our companies develop. Unfortunately, this new policy and guidance sometimes changes long standing regulatory interpretation which significantly increases the regulatory burden, schedule, and cost impact on industry without any safety justification. Industry often refers to this as “rulemaking by policy” or “regulatory requirements creep” because the standards to which we must design and certify our products change over time without any rulemaking or administrative procedures such as cost/benefit or small business impact. Today, these issues are addressed on a case-by-case basis consuming significant resources and time across both industry and FAA. The FAA Modernization and Reform Act of 2012 required the FAA to establish an advisory panel comprised of both government and industry representatives to review this GAO report and to develop recommendations to improve the consistency of interpreting regulations and a process to improve communications for the identification and resolution of potentially adverse issues in an expeditious and fair manner. 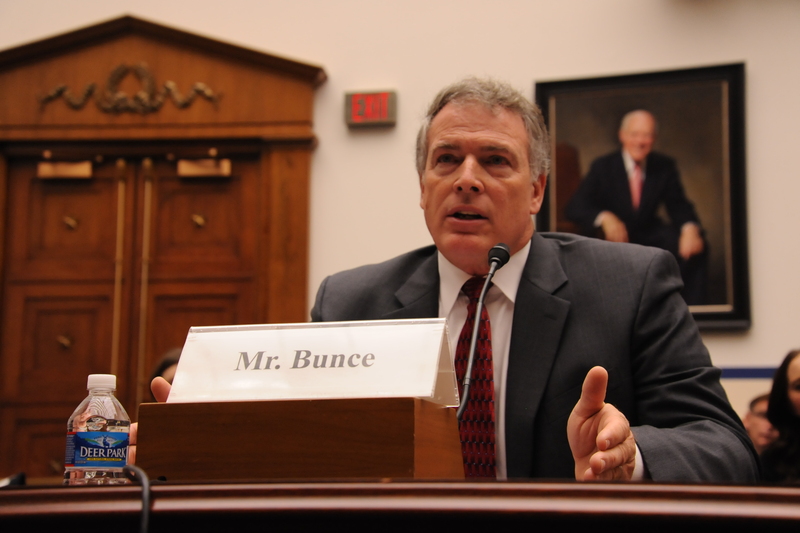 FAA submitted a report to Congress in July 2013 along with a preliminary implementation plan to consider the recommendations in combination with other FAA priorities and resource availability. GAMA fully supports the detailed recommendations outlined in this report which includes changes to existing regulatory database tools, clarification of policy and training, and establishment of a new FAA group of experts to support field personnel and applicants for timely resolution of potential issues. One of the important factors for success is clear policy, training and accountability for the development of new regulatory interpretative material such as guidance and the conditions and processes by which they can and cannot change the interpretation of regulatory requirements or previously acceptable methods of compliance. At their heart, these are efficiency recommendations that if fully carried out will produce better results and maintain the highest standards of safety. As my final point, I want to highlight an issue that is linked to the certification reforms we discussed earlier: proactive leadership by the FAA in supporting their certification and safety activities globally. FAA has historically been viewed as the gold standard for certification around the world. Increasingly, however, other countries are questioning that gold standard. It is imperative that FAA actively promote and defend the robustness of its safety certification globally to facilitate acceptance and/or streamlined recognition of U.S. products—direct engagement with their regulatory counterparts is a necessary part of that effort. At a time of growing exports, any delay in delivering aircraft, after the lengthy U.S. process, is very harmful. This issue is less of a problem with bilateral partners such as Europe and Canada where a formal agreement promotes streamlined acceptance of products certified and manufactured in our countries. However, in other parts of the world we increasingly find regulators that previously accepted U.S. products now questioning FAA’s safety certification, delaying the ability to deliver products to that country. Effectively, once they get their product FAA-certified, manufacturers are facing greater uncertainty in delivering their product to international markets. If these countries decide to recertify these products instead of accepting the FAA certification, it requires significant time and resources from both the manufacturer and FAA that are completely redundant and without any safety benefit. In turn, this compounds the efficiency problems experienced by manufacturers and FAA working to develop and certify new products. FAA must work with the International Civil Aviation Organization (ICAO), other aviation authorities, and industry to address this issue before it becomes even more significant. We look forward to working with this Subcommittee as we develop ways on how to best address this concern. Chairman LoBiondo and Ranking Member Larsen, these reforms and improvements are even more vital given the current budget environment that faces our nation. Manufacturers cannot bring any new products to market without FAA certification approval. More than almost any other industry, we depend on action from government regulators in order to grow our businesses, jobs and the economy. FAA stated it expects more challenges associated with staffing, management of programs, and infrastructure investment. For manufacturers, this could result in more uncertainty and delay for approval of products that are safety-enhancing and key to success in an already competitive marketplace. The uncertainty and inefficiency of FAA certification processes restricts industry growth and has even resulted in missed business opportunities and decisions to invest in new projects, expand facilities, and increase employment. The current budget situation is difficult and we encourage policymakers on both sides of the aisle in Washington to constructively discuss ways to mitigate these challenges. At the same time, we encourage the members of this committee to challenge regulators, such as the FAA, to identify and implement reforms across the agency that will enhance the ability of users to more efficiently and effectively operate, while simultaneously promoting safety. Thank you and I would be glad to answer any questions that you may have.